Allegheny Technologies, Inc. recently announced the elimination of more then 250 salaried employees in its Flat Rolled Products operations. ATI’s salaried workforce in the FRP segment will be reduced by approximately one-third by the end of June. ATI expects the FRP business segment will be modestly profitable by the second half of 2016. The workforce reduction will generate an annualized cost savings benefit of over $30 million beginning in the third quarter of 2016. The U.S. International Trade Commission made a unanimous preliminary determination on March 25 that unfairly-traded imports of stainless steel sheet and strip are causing injury to U.S. stainless producers. The petitioners were AK Steel, ATI’s Flat Rolled Products Division, North American Stainless and Outokumpu Coil Americas. The ruling was no surprise as the cold-rolled stainless steel anti-dumping and countervailing duties petition is one of many petitions being filed against Chinese products in recent months. What is surprising is that cut sheet has been included in the petition. The last cold-rolled stainless anti-dumping action filed in 1998 included only products in coil form. The petitioners need to supply at least 25% of the U.S. market to claim injury. Only NAS and Outokumpu have cut-to-length lines, so it is impossible for the mills to have significant market share in cut sheets. Service centers process the lion’s share of cut sheets for the U.S. market. Unless the service centers are willing to be a party to the petition, I think cut sheets should be removed from it. Non-coil stainless is included in a new anti-dumping petition. Source Adobe Stock/Jovanning. Outokumpu Coil Americas has changed its freight equalization policy to reflect today’s North American stainless flat-rolled supply landscape, differentiating rates among its product offerings. The new policy took effect for shipments beginning March 15th. 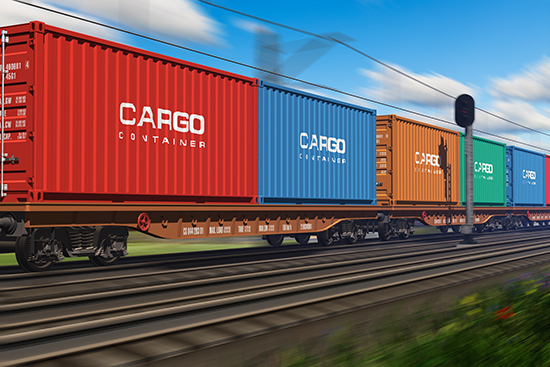 Will Outokumpo Coil Americas’ new freight policy help it sell more stainless steel? Source: Adobe Stock/Oleksiy Mark. Below is Stainless Analyst Katie Benchina Olsen’s review of the products affected by Outokumpu Coil Americas’ new freight equalization policy. Using Chicago as an example, the change in freight equalization rates means that service centers and large end users will be paying for the freight for 72-inch wide on Outokumpu Coil Americas‘ Calvert, Ala., mill’s almost 900 miles compared to around 300 miles from Ghent, Ky., where North American Stainless is located. For the metal buyer, the only other options for 72-inch-wide continuous mill plate and cold-rolled stainless are TISCO, Aperam and Outokumpu’s European facilities. TISCO will not be a factor in cold-rolled 72-inch-wide due to the anti-dumping and countervailing duty actions that the U.S. mills filed earlier this year. Unless you buy for facilities on the East Coast near a port, this new freight policy should remain intact. On another note, Outokumpu should consider its premium on 72-inch-wide. I wrote in a previous posting that the U.S. domestic market for 72-inch-wide wide could grow if the premium over 60-inch-wide was dropped. Perhaps Outokumpu should consider optimizing its 72-inch cold-rolling mill by increasing the production of 72-inch-wide. Last week was a busy one for flat-rolled stainless steel. First, North American Stainless (NAS) announced a base price increase which was quickly followed by Outokumpu Stainless USA, ATI Flat Rolled Products and AK Steel. Then, later last week the four U.S. mills filed anti-dumping and countervailing duty petitions against China for stainless sheet and strip, charging that unfairly traded imports are causing material injury to the domestic industry. The U.S. flat-rolled stainless base prices were unsustainably low, as we have been reporting for several months now. Could we see fewer imports of stainless coil due to anti-dumping actions? Source Adobe Stock/Jovanning. The threat of anti-dumping lawsuits has come to fruition, and U.S. stainless mills have joined the bandwagon of targeting China, specifically. For service centers and manufacturers buying directly from the mills, the time has come to ensure that a short-term supply plan for flat-rolled stainless steel is firmly in place. NAS, Outokumpu and AK Steel increased the base price on flat-rolled stainless steel effective with shipments March 1st. ATI Flat Rolled Products’ increase takes effect with shipments on February 28th. Cold-rolled grades of 200, 300 and 400 series stainless steel will be increased by reducing discounts by two points. For 304 2B base gauge, this equates to an increase of around $0.0350 per pound. AK increased automotive alloys by $20 per ton. Continuous mill plate (CMP) and discrete plate will increase by $0.030 per pound. The base price increase was expected, but what was uncertain was whether the increase would occur in March or April. With ATI and AK Steel out of the commodity stainless market, the anti-dumping and countervailing duty petitions filed last week against China could create a short-term supply disruption for service centers and manufacturers. With the threat of anti-dumping lawsuits looming, the volume of imported stainless sheet and strip had already been diminishing, which should be seen in the upcoming months. The lack of imports — combined with AK and ATI being out of commodity stainless steel — has already pushed out domestic lead times and could create a supply shortage once service center restocking commences in full force. Since China was the only named party, it is possible that the U.S. will see increased imports from other Asian countries such as South Korea, Taiwan or Vietnam, or even some European producers such as Aperam or Outokumpu, both significant importers into the U.S. already. Perhaps ATI and AK Steel will have to reenter the commodity stainless market sooner than they thought, which could mean more base price increases, and could result in manufacturers looking at sourcing from countries not subject to anti-dumping actions. Both NAS and Outokumpu’s Calvert, Ala., plant have a cost structure which make them globally competitive; however, service centers and manufacturers will be forced to look elsewhere if prices rise above that globally competitive price, as occurred in mid-2014. The anti-dumping and countervailing duty petition against only China will be an interesting case. In 2015, all stainless mills throughout the world suffered monthly nickel price declines. Was it really Chinese imports thjat caused damage to the U.S. stainless steel industry, or was it the precipitous price decline of nickel? The U.S. Department of Commerce hearing will be held in mid-March and the International Trade Commission hearing will be in late March or early April. Over 2,220 United Steelworkers (USW)-represented Allegheny Technologies, Inc. (ATI) workers in six states have been locked out since August 15. The locked-out workers lost their ATI health benefits on November 30. For most of them, unemployment benefits ended on February 15th. The Pittsburgh regional office of the National Labor Relations Board (NLRB) has issued a complaint that the lockout is illegal. Last week, ATI issued a statement that said they believe that the work stoppage is legal, citing a lack of progress in contract negotiations. Stainless steel base prices are now certain to rise in January. North American Stainless (NAS), the stainless market leader and lowest-cost producer, announced on December 18th a flat-rolled stainless price increase that will go into effect on January 1st. NAS’ stainless cold-rolled increase will be achieved by lowering discounts by two points, which means an increase of approximately $0.04 per lb. for 304 base gauge. 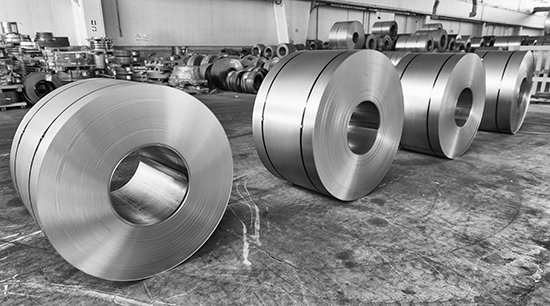 The hot-rolled stainless — continuous mill plate (CMP) and discrete plate — increase will be $0.02/lb., which is the same increase that Outokumpu Coil Americas announced on December 10th. Outokumpu’s stainless plate division recently announced an increase on mill plate by decreasing discounts by two points. NAS will also increase polishing extras costs by reducing the polishing discount 10 percentage points, which reinforces the same increase announced by Outokumpu Coil Americas. The impact of the polishing extras increase will be almost $0.02/lb., depending on material thickness. 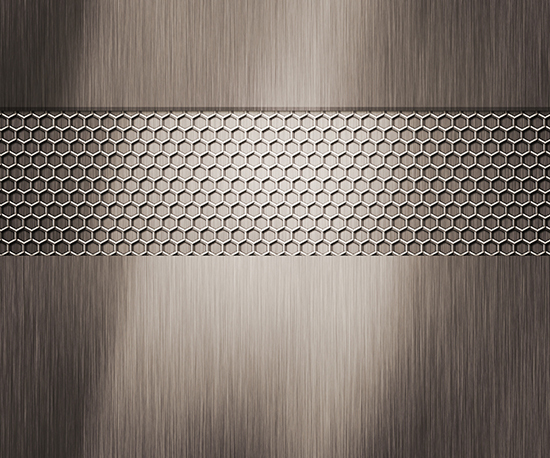 North American Stainless has joined other mills in increasing base prices. Source: Adobe Stock/Jovanning. As I wrote last week, even with the mill announcements, the effect of the base price increases will still make net prices for 304 2B base-gauge and CMP lower than net prices were this month. 304 polished product prices will still be about the same as they were in early December and still lower than the overall net prices of 2015’s fourth quarter. NAS’ January 2016 304 surcharge will be $0.3352 per pound, a decrease of $0.0544 per pound. What will the impact be to 430 prices, much of which is polished? 430 2B prices will increase in January by approximately $0.025/lb. For 430 polished 18-gauge (.048 inches thick), prices increase to around $0.045/lb. January 2016’s 430 surcharge will be $0.1338/lb., a slight decrease from December 2015’s surcharge. Looking a few months back, though, 430 surcharges have decreased $0.04/lb since October 2015. Since 430 is non-nickel bearing, the surcharge fluctuations are not as drastic as 304, so the base price increase will make 430 polished net prices slightly higher than in recent months. As I wrote in last week’s piece, the mills need to increase base prices for the long-term health of, not only themselves, but also the service centers which are responsible for the majority of stainless steel flat-rolled distribution. As NAS supported only a moderate increase, I would expect another base price increase in subsequent months if the domestic mill lead times push out beyond 10 to 12 weeks. Once everyone returns from the holidays to begin 2016, we will have a better idea of how much of an impact service center restocking will have on stainless, flat-rolled mill lead times. ATI Idles Midland Stainless Due to Low Prices, Will Supply Fall? 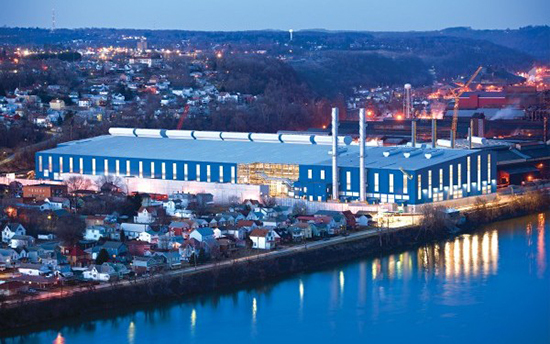 Allegheny Technologies Inc. (ATI) recently announced that its Midland, Pa., stainless steel production facility is being idled in January, citing low-priced Chinese imports, depressed base prices and low alloy surcharges, especially nickel. In the last few months, Chinese imports of cold-rolled stainless have leveled off around 6,600 metric tons per month, as base prices of domestic stainless are now lower than what the Chinese importers are offering. Will the idling of Midland by ATI take a bite out of stainless supply? Only time will tell. Source: Adobe Stock/Jovanning. Why are automakers not embracing stainless steel in structural applications to reduce overall weight and create safer and more fuel-efficient vehicles? 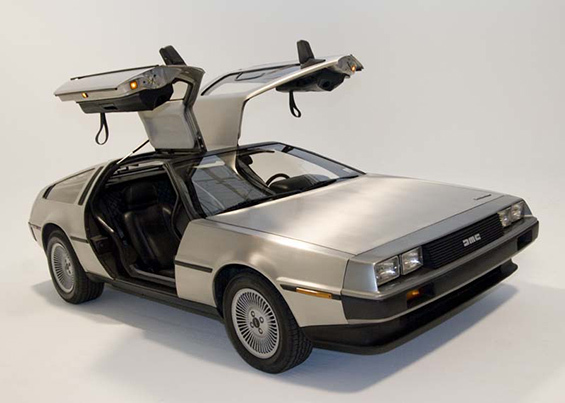 In addition to helping Marty and Doc get back to 1985, the DeLorean was innovative, practical and sported an attractive brushed stainless steel body. Usually when you think of stainless steel in cars, the exhaust system, the trim or the DeLorean DMC-12 from the “Back to the Future” movies come to mind. Will Domestic Stainless Steel Anti-Dumping Lawsuits Create Market Havoc? Second quarter results will be coming out later this month for North American producers of flat-rolled stainless steel. The burning question remains will US mills file anti-dumping lawsuits on flat-rolled stainless steel? If anti-dumping lawsuits are filed, what will the impact be on manufacturers and buying organizations? Let’s remember the reason imports began increasing in mid-2014: domestic mills had four-month lead times. Service centers as well as large manufacturers had to source imported cold-rolled stainless to stay in business. A surplus of both domestic and imported cold-rolled stainless has led to low prices. Manufacturers also relied on imports to make up for the loss of production at Outokumpu’s Calvert, Ala., plant caused by technical issues with its cold-rolling mills. In addition to long lead times, the strengthening US dollar kept imports flowing to the US.